August 12, 1981 marks the birth of the IBM PC, the computer that single-handedly turned personal computing to the business market. IBM’s success forced Apple and others to change their focus, and most personal computer companies from the pre-IBM era have become historical footnotes. By 2006, even Apple Computer had followed IBM’s lead and adopted Intel CPUs and built Macs that could boot Microsoft Windows. IBM was in a time of transition in the early 1970s. The Watson dynasty came to an end in 1971, after 60 years of the Watson family leading IBM. The man who had managed Data Processing for 20 years, Frank T. Cary, became CEO in 1973 and made radical changed to IBM’s corporate structure. Cary split the company into semi-autonomous independent business units (IBUs). The IBU responsible for low-end minicomputers, The Entry Level Systems (ELS) IBU, was placed in IBM’s sprawling facility in Boca Raton, Florida, and tasked with creating new machines that would advance the IBM brand. William Lowe was the first director of the Entry Level Systems IBU. 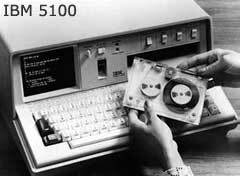 The two brand new products that the ELS IBU released were the IBM 5100 (released in 1975) and 5120 (released in 1980). Designed as data collection and analysis systems for small labs, the 5100 had an integrated CRT, keyboard, and tape drive. It was capable of running popular software for IBM’s mainframes in emulation. The 5120 was a larger, more expandable version of the 5100 that did not have a built in CRT. Tens of thousands were sold, which was a big success for IBM. 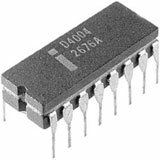 The first commercial microprocessor appeared in 1971, Intel’s 4004. Computers based on the 4004 were little more than programmable calculators, but more powerful and less expensive microprocessors soon hit the market. By 1974, there was a small market for computer software and languages, dominated by Digital Research, which sold the popular CP/M operating system and several programming languages. The first successful microcomputer was based on the 8008 processor, the Altair 8800; it was released in 1975. After the computer was featured on the front cover of Popular Electronics, thousands of hobbyists ordered the machine and others like it. A software market developed, and the success of the Altair prompted other players to enter the market. 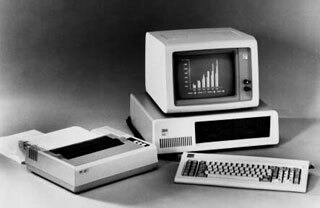 By 1979, the microcomputer had become a multimillion dollar industry, and it attracted the interest of IBM’s William Lowe, who wrote a detailed market analysis outlining the possibility of an IBM microcomputer aimed towards small businesses and even consumers. The only way to do this, according to William Lowe, was to skirt the IBM bureaucracy. He had two proposals. The first was to buy a microcomputer company outright (he mentioned Atari by name); the other was to create a brand new microcomputer. The plan was submitted to IBM’s Corporate Management Committee (CMC), and it was enthusiastically received. Microcomputers were gaining a foothold in the business world, so CMC asked that a prototype be built for review in a month’s time. A small team was established in the ELS IBU to create the prototype. Bill Sydnes, the IBM 5120 manager, was selected to lead the hardware engineering team working on the prototype and was given a staff of 12 engineers. At the time, IBM had no microprocessor ready for release (the predecessor to POWER, the IBM 801, would not be ready for almost two years), so Sydnes decided to use the Intel 8088 processor. Though it was a 16-bit processor (meaning that it could handle larger numbers than other microcomputers), it used an older bus design that slowed it down, unlike the more expensive 8086. Sydnes noted in the CMC review that other open and processing standards would be adopted to keep down costs. Jack Sams, the engineer in charge of software development for the prototype, was eager to avoid the problems he encountered during the development of the IBM System/23. The System/23 was a very small minicomputer used mainly for word processing and basic business management. Sams, a member of the project’s development team, spent a year creating a BASIC compiler, pushing the product behind schedule. For the new computer, he would avoid such a headache by licensing most of the software from an outside company. Microsoft, the market leader in programming languages, was very receptive to IBM’s proposal. Using emulation software running on a DEC minicomputer, Microsoft began porting its version of BASIC to the 8088. By August, the prototype was ready for presentation to the CMC, along with a list of software the machine would include (most notably Digital Research’s CP/M-86 and MBASIC). The microcomputer passed review, and a brand new IBU was created to finish developing the computer. In order to mask its true intentions from the outside world, a code name was adopted for the IBU, Project Chess, and the computer was named Acorn. 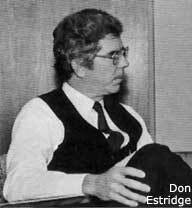 Don Estridge quickly replaced Lowe, who was promoted. Project Chess doubled in size and worked on creating a release version of Acorn. Unlike any other IBM project, Chess adopted outside software. Other than the BIOS chips, almost every other component and piece of software was from an outside company. It would take years for IBM to develop its own operating system, and it would take even longer to develop a software library comparable to the Apple II’s or CP/M’s. Estridge personally met with Gary and Dorothy Kildall of Digital Research, the makers of CP/M. Estridge was unable to make a deal (supposedly because Dorothy refused to sign a nondisclosure agreement). In late September, Microsoft made a proposal to provide a 16-bit operating system for Chess along with its programming languages. After Chess’s hardware design was finalized, Acorn got a marketing staff, headed by HL Sparks, and a team of manufacturing consultants. Most IBM products were sold through a huge sales force that made personal calls to potential customers. A personal relationship between salesman and customer was necessary when the cheapest computer IBM offered cost $15,000. The PC required an entirely different approach. The CMC set the new computer’s price at $1,565 – so inexpensive that an individual could afford one. Sparks signed on consumer electronics stores and even department stores (most notably Sears) to sell the new computer and didn’t use IBM’s sales staff at all. Lord, Geller, Fredrico, and Einstein, IBM’s primary public relations firm, created an advertising campaign centered on consumers featuring Charlie Chaplin. The campaign was a huge departure from IBM tradition, and it was very effective in grabbing potential customer’s attention. The firm also helped create a name for Acorn, IBM PC 5150, though it was referred to as the IBM PC in its advertisements. As the marketing efforts for the IBM PC were being finalized, the software team still needed an operating system and software. Cunningly, Microsoft had began developing an operating system for Acorn when it became clear that no deal would be reached with Digital Research. Microsoft bought an operating system called SCP-DOS or QDOS (for quick and dirty operating system) that ran on the 8088 processor for $80,000. QDOS was a port of CP/M by Tim Patterson (who was hired after Microsoft acquired QDOS), which meant that it also used CP/M’s arcane commands. The biggest change Microsoft made was to rename the highly arcane CP/M commands (PIP for copy, etc.) with more intuitive names (COPY). Development was a major challenge. The one IBM PC prototype that Microsoft had was not to be used outside of a small, windowless room in Microsoft’s Bellevue headquarters. As a result, the engineers emulated the PC’s BIOS on a minicomputer and used Acorn for debugging. When IBM agreed to use QDOS (renamed PC-DOS), it allowed Microsoft to market its own version as MS-DOS, leading to the creation of a clone industry a few years later. During this time, IBM finalized the hardware design of the PC and began distributing prototypes to select developers, including Digital Research (whose CP/M would be a $240 option). Chess worked with Personal Software to bundle VisiCalc and John “Captain Crunch” Draper and to include EasyWriter with Acorn. VisiCalc would be ready for the IBM PC in the summer of 1981, though EasyWriter would not be. The version of EasyWriter that shipped with the IBM PC was still very buggy, and IBM eventually distributed a free upgrade for the software. The IBM PC was released on August 12, 1981, and it changed the world. Computers with the power of mainframes of the 1960s were now available to small businesses and consumers. The marketers predicted IBM would sell 250,000 units over five years, a huge success by IBM standards. By the end of 1983, IBM had sold 750,000 units, and by 1984 the Chess IBU had swollen to over 9,000 employees.